We are going to make another trip across the pond for this review. 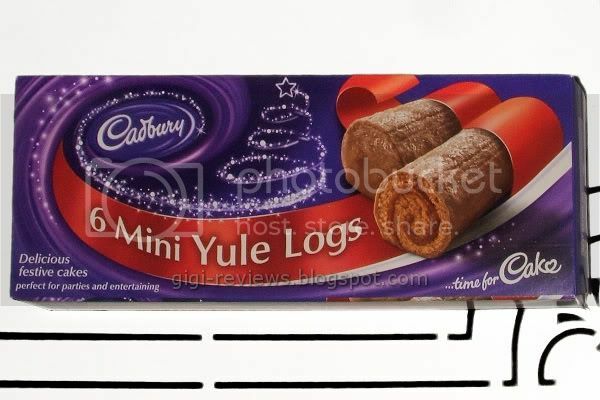 Inspired by Jim, I tracked down one of the many cake offerings that Cadbury makes in the U.K. 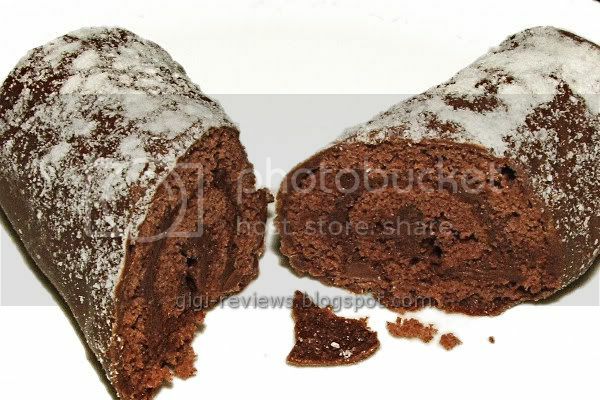 The Mini Yule Logs cakes feature a very thin layer of chocolate coating over a roll of chocolate sponge cake, with a chocolate butter-cream frosting swirled in the center. 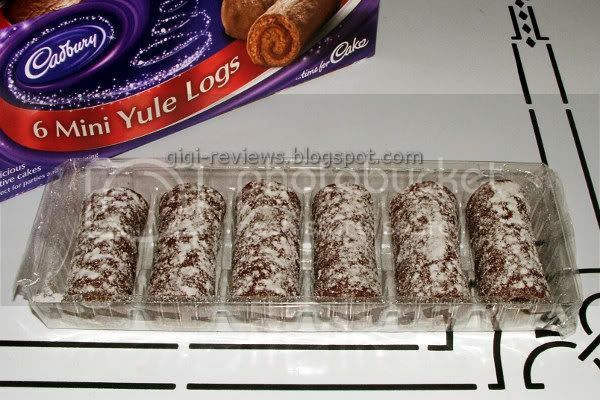 Even though the box photo doesn't show it, each log is also dusted in powdered sugar. (Hey David! I got something I'd like to show you over in the TARDIS... ) But I must admit, I was also slightly worried I would be disappointed and get something more like Mr. Bean than Dr. Who-let-you-out-of-my-room. The thing that first caught my taste buds is that the cakes seem to have a nice cocoa powder taste to them. This is good, as it cuts any excess sweetness that might overpower the other flavors. And the chocolate has a good milky quality. The outer chocolate melts in your mouth. It's just sweet enough that it takes the bitter edge of the cocoa flavor off. 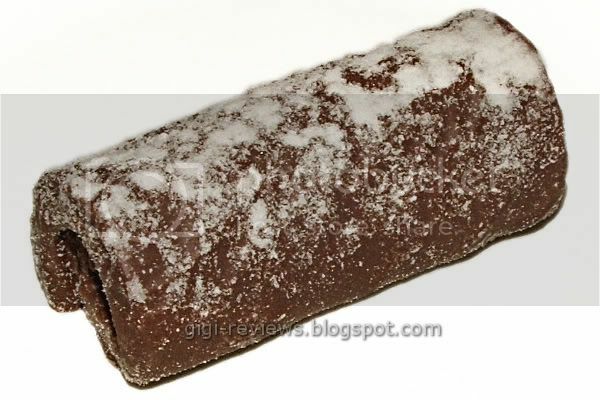 The cake roll inside is moist. The butter-cream keeps the crumbs in check and reminded me of fudge. Slightly grainy and a little more deeply flavored then the other layers. I love everything about this review apart from the appearance of that pillock David Tennant!! 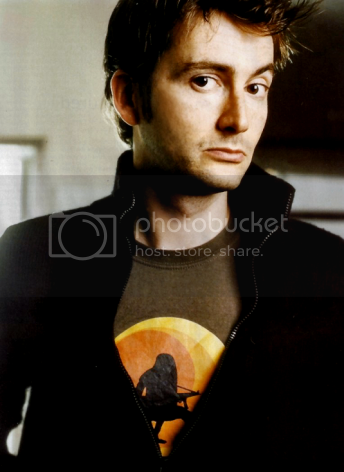 :D :D Die Tennant DIE! Gee, Jim I get the sense your not a fan!... What's wrong with David, is there something I am missing? He has got a bit to big for his boots if you ask me. He comes ask as very cocky! How come you know about him anyway? I wouldn't of thought he would be known outside of the UK. I offer to take him down a peg or two for you!